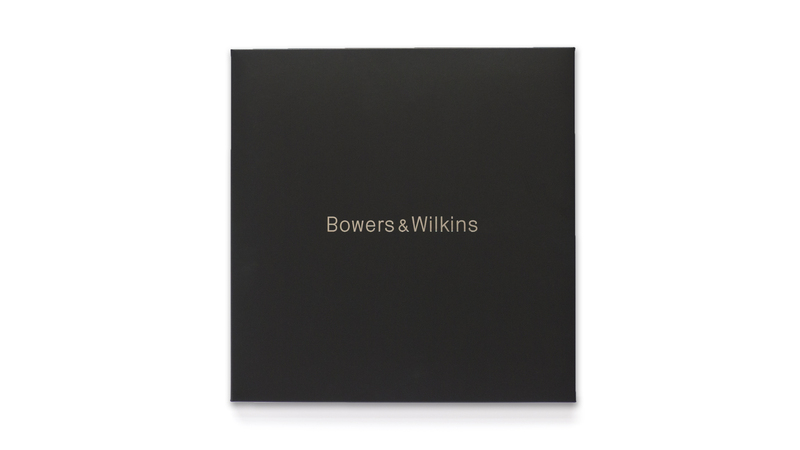 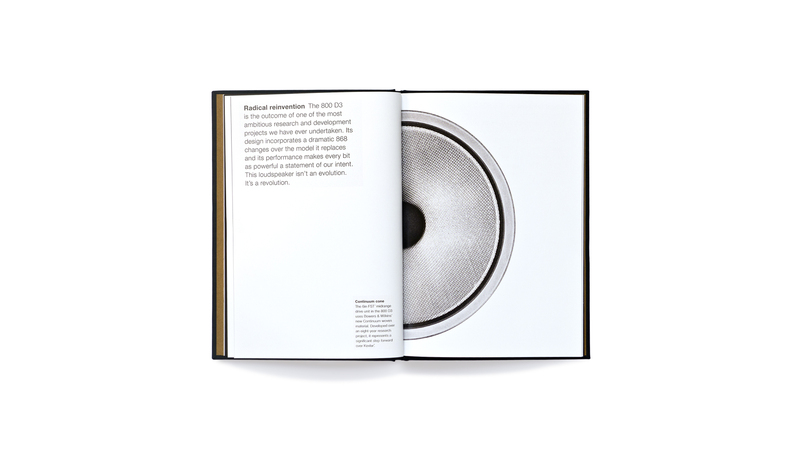 The 800 D3 loudspeaker tops the Bowers & Wilkins product range and was launched in 2016 – the 50th anniversary of Bowers & Wilkins. 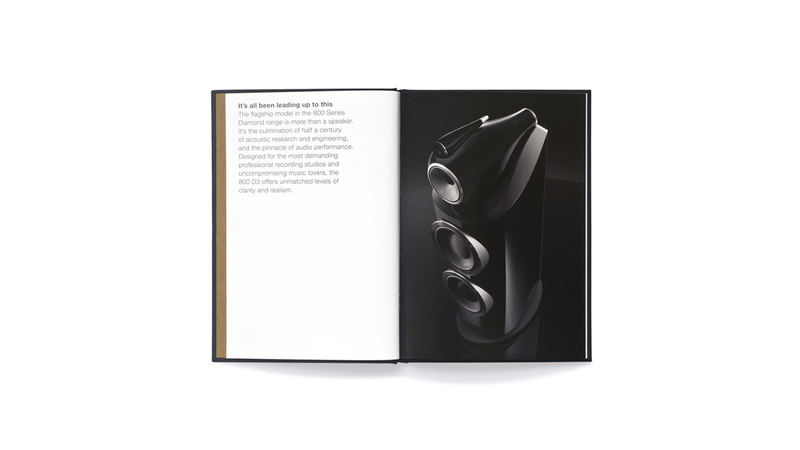 There is no better way to celebrate five decades of audio excellence than with a flagship that is arguably the best loudspeaker the company has ever made. 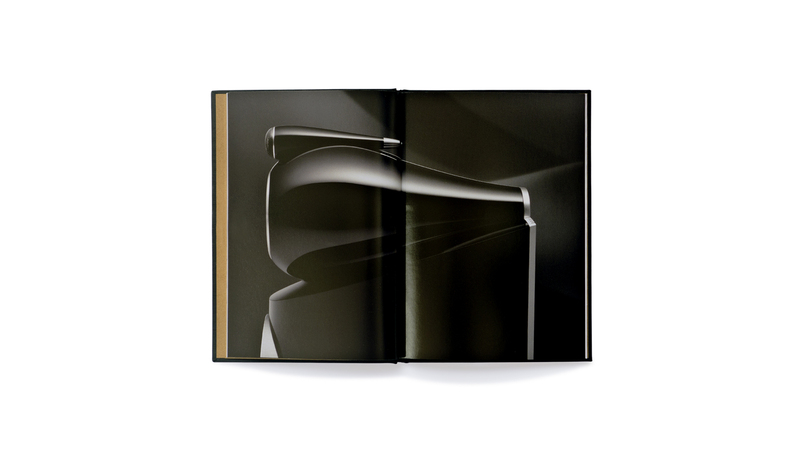 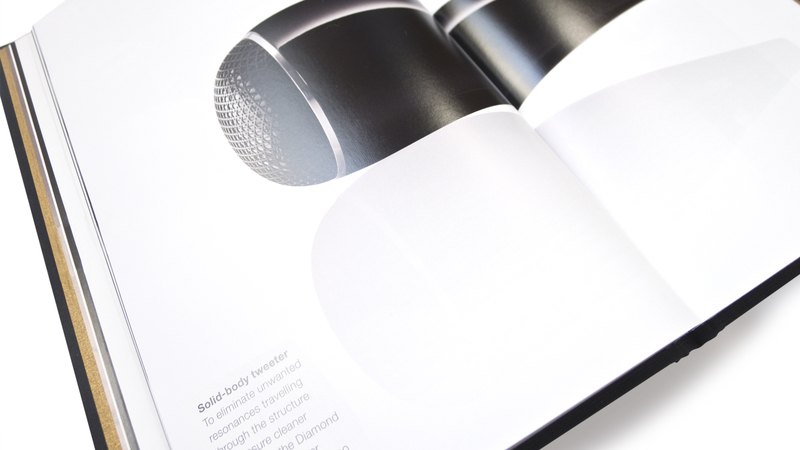 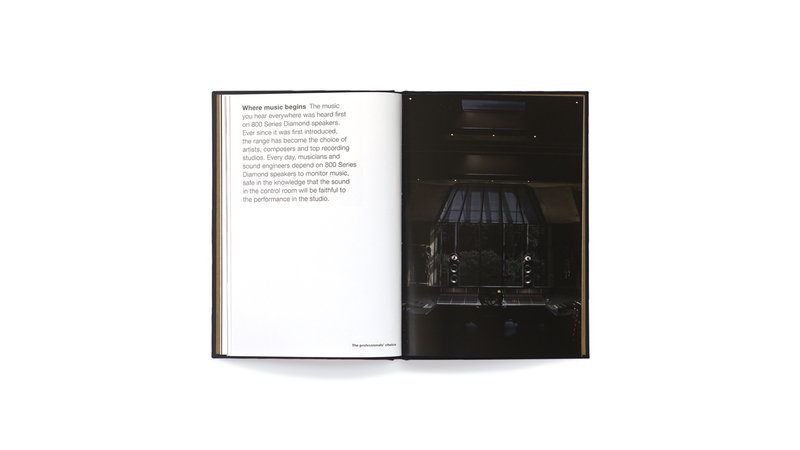 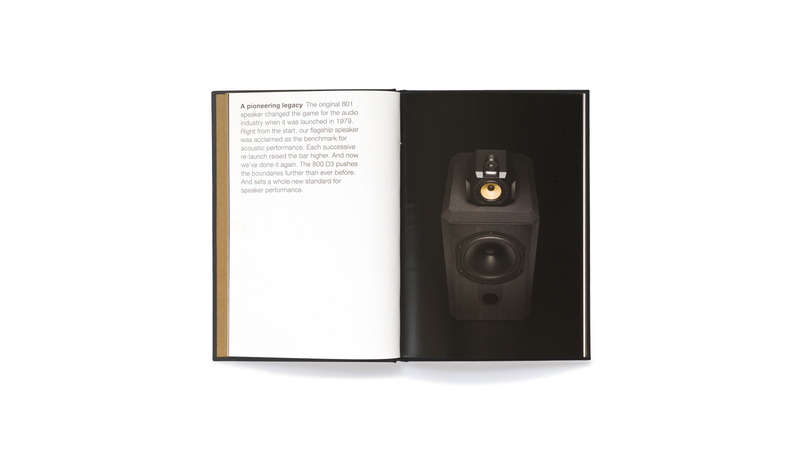 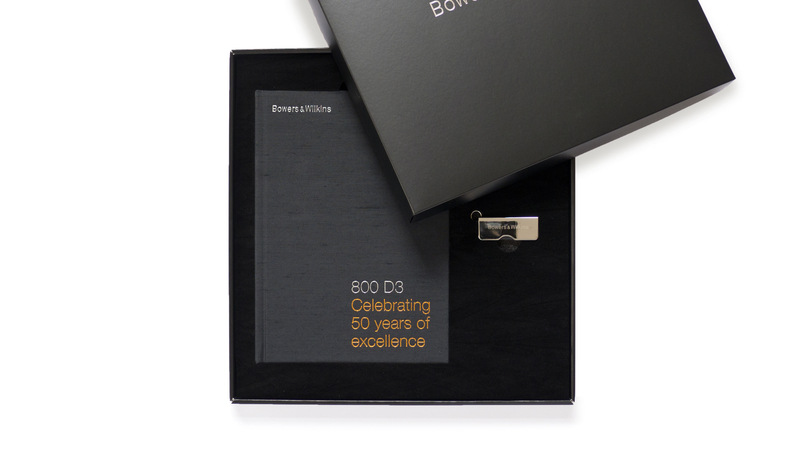 This elevated position in the Pantheon of audio milestones is reflected in the promotional materials that accompanied the launch of the loudspeaker – a cloth-bound hardback book and digital assets including a film and original product photographs are presented in a box that pays testimony to the craftsmanship the company lavishes on its products.